Thursday night is “taco night” or Mexican in our house. I used to make homemade tortillas that are seriously amazing. But since I can’t eat them, I haven’t made them…it would be too sad for me, I think. But I’ve found these awesome tortilla chips that I try to space out eating but they really hit the spot for me. Paleo is no corn…these chips do have some. 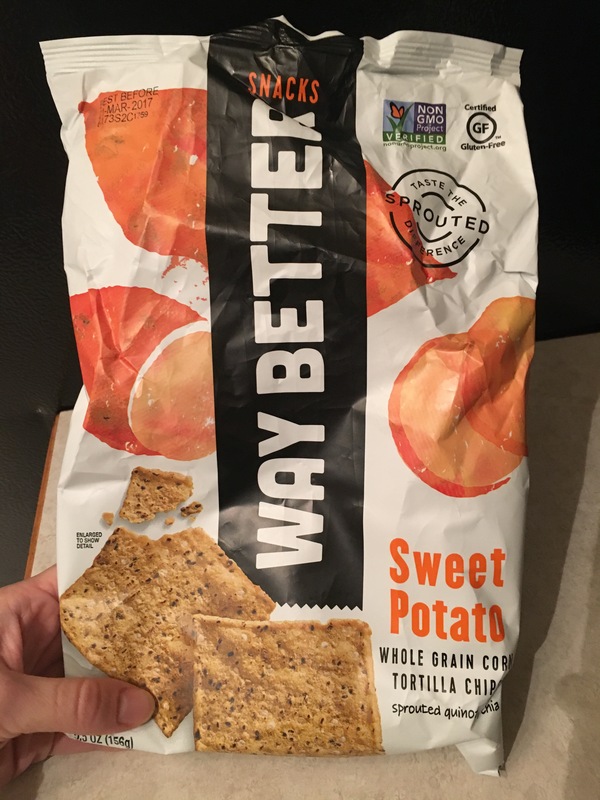 But they are sweet potato, sprouted quinoa, and corn based, non gmo and organic. 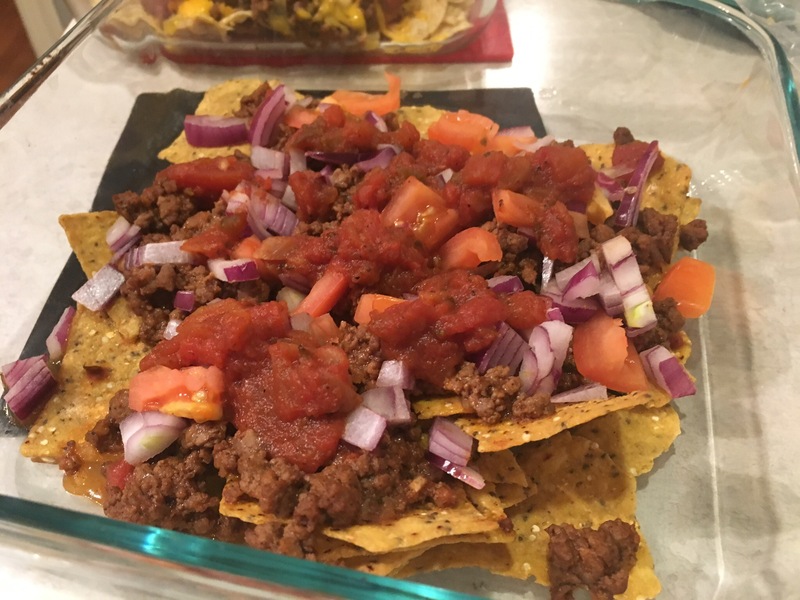 So this week I decided to do nachos. It just sounded good. I was right. 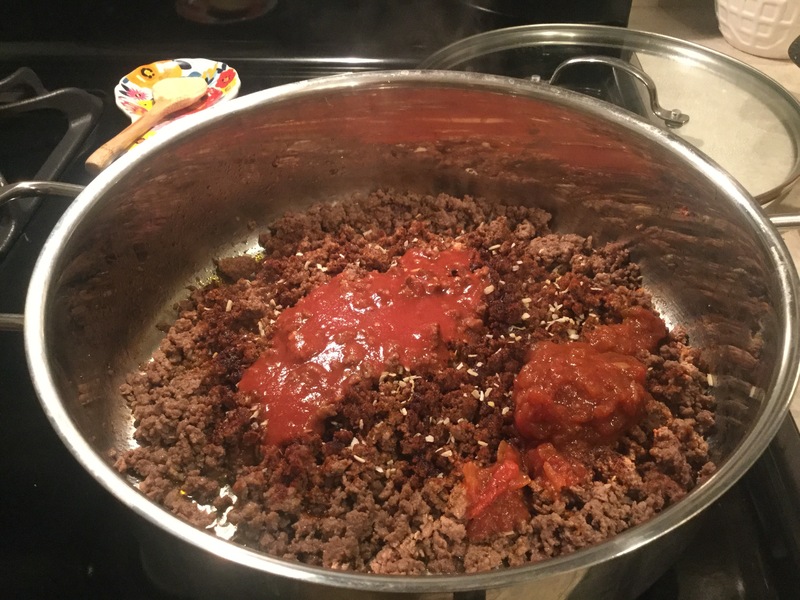 I’ve tweaked my taco meat recipe recently. 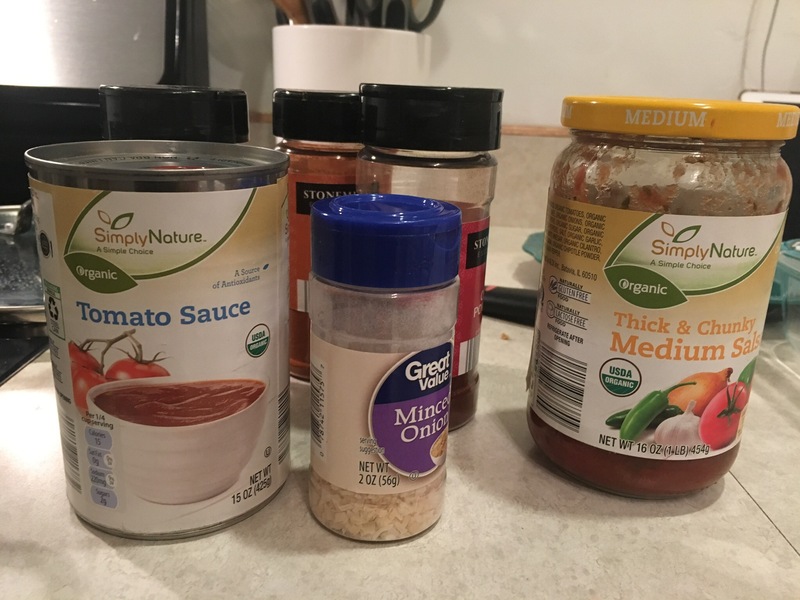 I use a pound of beef, throw in seasonings, then add 1/2 can tomato sauce and salsa. It’s really good. Seasonings are just eyeball and include pepper, chili powder, onion flakes, garlic salt, paprika, cumin. You can add anything else you like. Turns out great. So I made the meat, put chips and toppings on in a pan, and then baked 15 ish minutes at 375. The hubs had plenty of cheese on his (no pic) but I did not. I cheated last week and ate some of my amazing cheese dip and I paid for it. Stomach pains for about a day was not fun. So guacamole on the side adds that creamy texture I crave. Plus guac is just so good. Remember to put lettuce on after you bake, not before. Put tortilla chips in 9×13 pan (I used 2 8×8 pans because of separating the cheese). 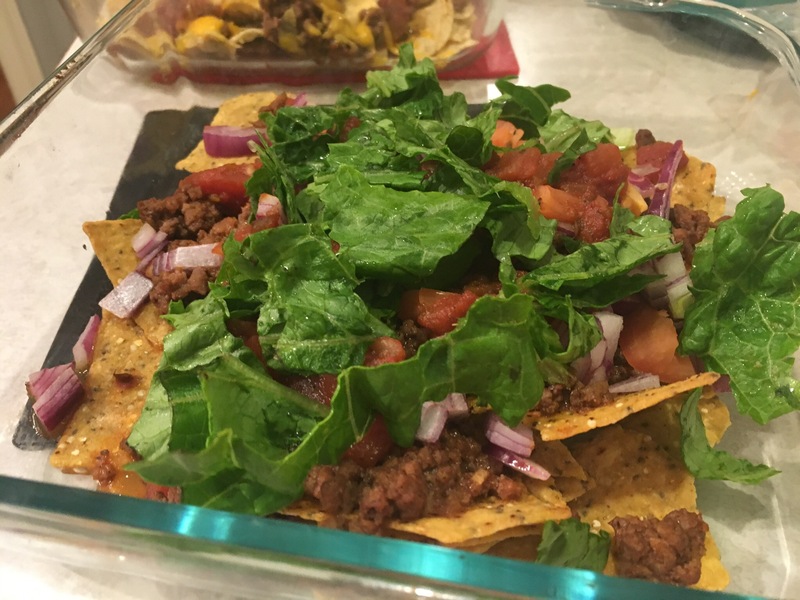 Put taco meat and any toppings you prefer. Add salsa on top as well. 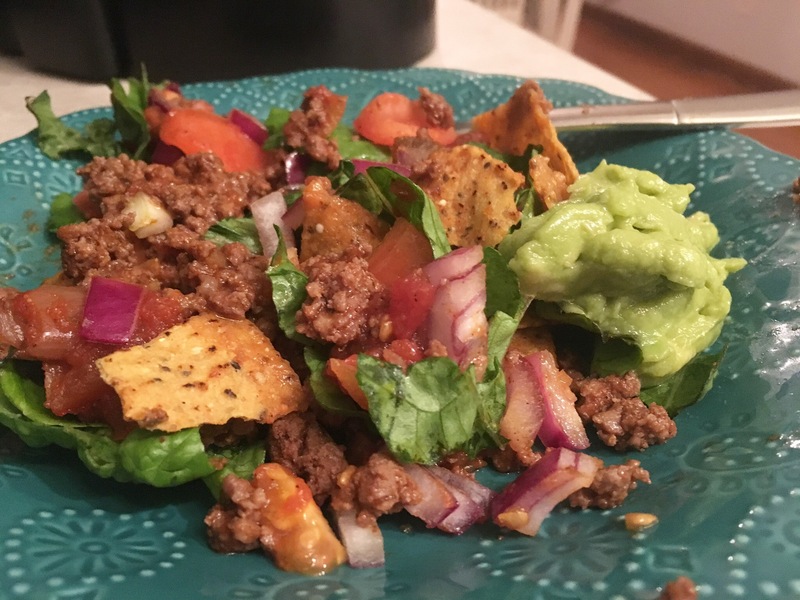 Add chopped lettuce and guacamole. It’s really that simple and is very flavorful. Next PostWhat’s the deal with Broth?